As this chic device is hitting our hands lets see if it can create the same kind of magic as its name. 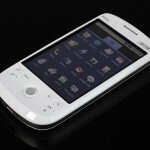 The HTC Magic has raised its head with a invigorated look unlike the previous HTC handsets. Not that it is something out of this world but takes on a look of a classy and modish model. As white as an angle and black as a stallion, these two colors are the outputs of the company’s factory. Easy to pocket this slim satin textured set has a lustrous look that is also not so flimsy as you think. Its strong and sturdy feel gives you a great feeling of holding it. The back flaps are easy to operate on this phone. The Google Ion aka the HTC Magic, is an hour glass figure with an striking design with a magnificent display, tangible controls, and a comprehensible interface. Its package filled up with stereo Bluetooth, seamless integration with Google apps, Wi-Fi, swift access to any music and downloads, and ofcourse a great level of customization. The call receiving quality is excellent and the 3G speeds are snappy. The Google Ion is deficient in Outlook-syncing support and a standard 3.5-millimeter headset jack. Video quality is not upto the mark and the HTML browser interface could definitely be improvised. Camera-editing and personal-organizer alternatives are not so good, and the landscape keyboard is unavailable in all its applications. The phone’s front is mostly covered by the screen where at the bottom are silver cute buttons where on clicking Home takes you to the home screen.The Menu for the main menu, Call end, call receive, back or previous button and Search. The symmetric center of the device holds a trackball. A mini USB connector can be fixed on the lower edge while the volume controls are found at the left edge. Not to mention a out-and-out camera key or 3.5mm jack. The microSD card slot is near the battery on removal of the back-flap, by this we need not take out the battery to see the card. The 3.2-inch 320 x 480 pixel capacitive touchscreen display is striking good. The screen is receptive and we can smoothly steer through all the functions. Whether inside or out in the open, the quality of the picture on the screen is lookable without any tension. Since the QWERTY is absent, the weight factor is not a question of debate. The homescreen is of three pages, permitting easy accessibility to several functions. Easy addition and deletion of anything in particular can be carried out with aplomb. By just moving your finger, you can move it to the trash icon. We can also access it by hitting twice on the on-screen Menu icon or simply smacking our finger on it upwards. On whole the mobile is something you will cherish.